Do you have Microsoft Office 2010 installed on your computer? If so, you probably also have the Current Version Plugin Microsoft Office 2010 installed on your Firefox browser. You may be wondering what this plugin does or how to disable it. In this guide, we’ll explain what this plugin’s purpose is and how to disable or remove it. What Does the Current Version Plugin Microsoft Office 2010 Plugin Do? 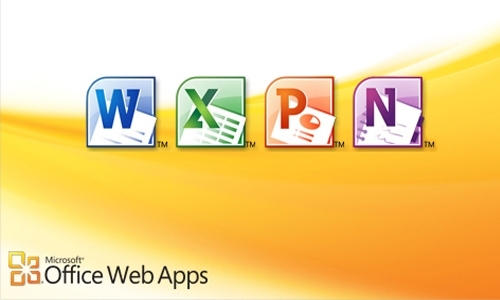 The Microsoft 2010 plugin allows you to open word, excel and other office files right through your Firefox browser. Instead of having to open the program and then searching for the file you need, this plugin allows you to open recently downloaded files with ease. The plugin is not malicious and will not harm your computer. Where Did the Plugin Come From? The Current Version Plugin Microsoft Office 2010 was installed during the installation of Microsoft Office 2010. This plugin is called WcPlugin.exe, and it came bundled with Office. The plugin allows you to open recently downloaded files in Office with ease. It also allows for collaboration and the sharing of files. Navigate to the Add-Ons tab from the main menu. Click Extensions on the left-hand side of the screen. There should be a link at the top of the list that will allow you to check your plugins for updates. Click this link to proceed. Once you are on the Plugin Status page, you can see which plugins need updating. There should be a list of potentially vulnerable plugins as well as unknown plugins and a list of plugins that are already up to date. From this list, you can choose which plugins you want to update manually. Simply click the “Update Now” button on the right side of the plugin name. If you use Office 2010 regularly, you may not want to disable this plugin. If you do, you will lose many of the convenient features the plugin offers. Navigate to the Add-ons page through the main menu. Find the plugin on the list. Click the dropdown menu on the right side of the plugin name and select “Never Activate.” This will disable the plugin on your Firefox browser, but will not remove it completely. If you want to re-enable the plugin in the future, you can follow the steps above, but instead of choosing “Never Activate,” choose “Always Activate.” This will reactivate the plugin so you can start opening Office files through Firefox once again. Again, it’s important to remember that this plugin will not harm your computer and provides you with convenient features that you may not want to miss out on. Keeping the plugin updated will allow you to continue enjoying the benefits of accessing and sharing Office files through your browser.